Kepol terminal Ltd. is a company for storage, handling and trade of chemical products and oil derivatives. The terminal started to operate its business as part of the following companies: Vinilplastika, Chemotrans, Kepol d.d. and INA, and since 2002 the company operates its business independently based on the technology of the Dow Chemical Company, Netherlands. The first storage tank in our terminal was built in 1971 and the current storage tank capacity is 15,650 m³. Kepol terminal Ltd. is a private company and the person authorised to represent the company is Mr. Bože Krce, chemical engineer. 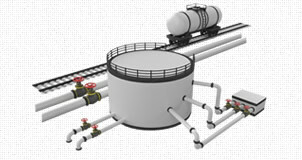 Our basic activity is storage of clean liquid chemicals and oil derivatives and other related activities. Our qualified and skilled personnel can guaranty high quality receiving and dispatching as well as safe storage of your goods. The headquarters and the terminal facilities are situated in the Zadar industrial zone Gaženica on the mid of the Adriatic coast. The terminal occupies an area of 100,000 m³ with the possibility of expansion in the following period. It is well-connected to the sea (by vessels) and railway and has a direct approach to the road Port Gaženica – Highway A1. The location on the mid of the Adriatic coastline provides us with the advantage of the shortest route from the sea towards Western and Mid-Eastern Europe. 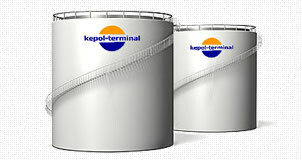 Kepol terminal Ltd. is a company for storage, handling and trade of chemical products and oil derivatives.